In August 2017, Forest2Market do Brasil initiated a detailed study in the Brazilian state of Minas Gerais. Via this research, the company sought to better understand the regional forest market and the underlying causes behind the situation that many forest industry professionals had warned about for years: Minas Gerais had an oversupply of timber combined with a failed consumer market, and it was therefore an unattractive place to invest. What did we find? In the initial 2017 study, Forest2Market do Brasil mapped the planted area and determined the volume of wood available throughout the northern region of Minas Gerais. We also established a deep database of the hundreds of companies that rely on the timber resources in the region. Based on the timber production and consumption trends and data, Forest2Market do Brasil’s research suggested that the region didn’t have an oversupply of timber at all; rather, a potential shortage of timber is possible beginning in 2019 with a greater intensification in 2022. We published our findings in a blog post and also pointed out that the projected deficit would naturally impact the price of wood and profit margins on forest industry activity in the region. At the time, the article caused a lot of discussion since it was contrary to common-held beliefs about the market. More recently, in May 2018, Forest2Market do Brasil published a follow up blog post that highlighted an increase in the price of charcoal—up 60% over the course of a ten-month period—that was in turn reflected in the price of standing timber, which was up roughly 70% over a one-year period. Over the course of the last year, Forest2Market do Brasil has used its transaction-based data and regional knowledge to help several companies in Minas Gerais to make more precise decisions based on these developments in the market. A real-world example of how Forest2Market's data benefits customers is best demonstrated by the result of an appraisal made for an investor group that owns timberland assets in Minas Gerais. In this assessment, illustrated in Figure 1 below, the standing timber assets that were evaluated according to Forest2Market's price benchmark (actual market data) totaled $5.3 million. However, the exact same assets, according to opinion-based survey data, totaled roughly $2.4 million—a real difference of 129%. 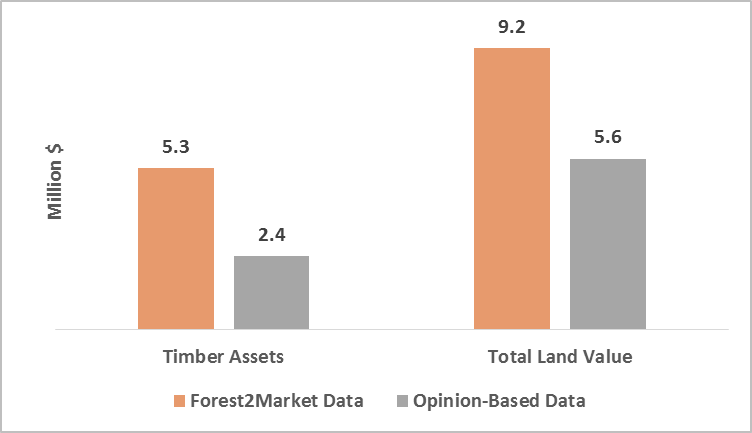 The total value of the timberland itself, valued at $9.2 million by Forest2Market’s transaction-based data, was valued at only $5.6 million when using opinion-based sources of data—a difference of 65%. While the change in the price of standing timber was anticipated over a year ago by Forest2Market do Brasil, the increase experienced by the investment company was close to 100%. This increase was much higher than the value indicated by opinion-based survey data, which controlled for an increase of less than 5% in the price of standing timber. According to executives working in the forestry and steel sectors in northern Minas Gerais, the current price of wood is at least twice as much as it was only a year ago. This change in the real price of wood was only accurately identified by Forest2Market data. The situation in Minas Gerais should only continue to intensify in the future. 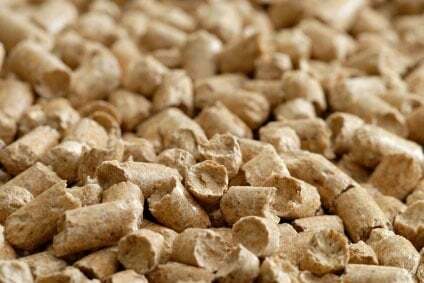 While more and more steel companies are increasing demand for charcoal in the region—taking advantage of the growing market for pig iron—pulp companies from outside the state also continue to purchase wood in Minas Gerais to balance the supply of their inventories. As there is simply no ability to increase supply capacity in the near term, this trend will continue to place pressure on both supply and price for timber in Minas Gerais.